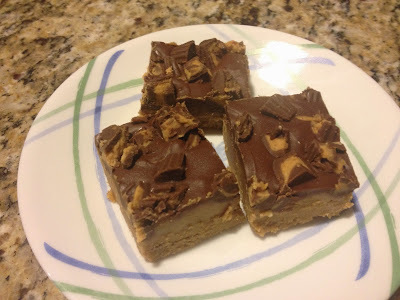 If you like chocolate and if you like peanut butter this is the perfect recipe to satisfy your sweet tooth..With very few ingredients and without breaking a sweat you make this little pieces of heavenly dessert.. Melt butter and peanut butter together on medium heat. Stir until smooth and turn off the heat. Add in the vanilla extract, graham cracker crumbs and powdered sugar to the peanut butter mixture and stir until everything is well combined. Line a 9 X 9 or 9 X13 pan with parchment paper, pour the mixture and layer it out evenly. In a microwave safe bowl take the chocolate chips and peanut butter and microwave for 45 seconds. Remove the bowl from the microwave and stir the mixture. Continue to heat in microwave in 20 second intervals until the mixture is smooth and shiny. 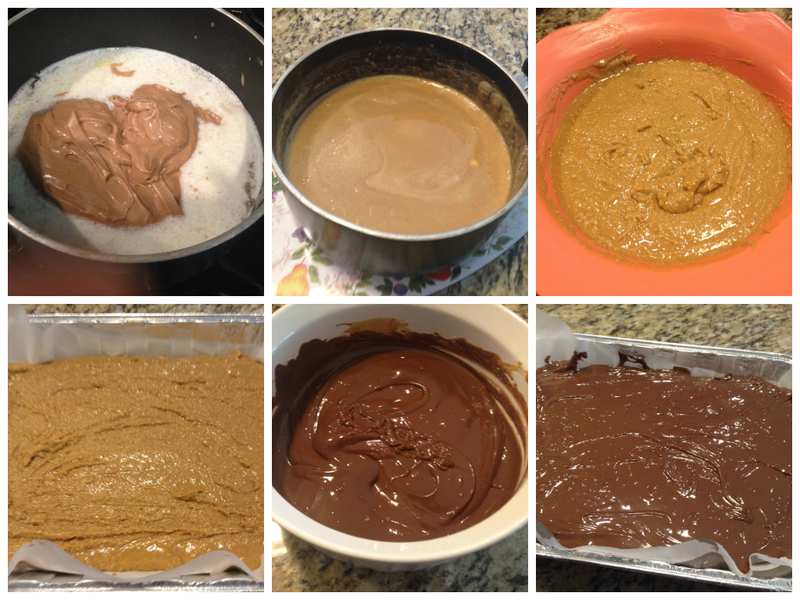 Pour chocolate mixture over peanut butter layer and spread the mixture evenly. Wait for 10 minutes for the chocolate layer to set firmly and then sprinkle your chopped peanut butter cups on top of the chocolate layer. Place in refrigerator for about 30 minutes for everything to set. I left mine in the refrigerator over night. Always use a good quality chocolate for melting. The first and foremost rule while melting chocolate is to avoid any contact with water. The most critical part of melting chocolate in the microwave is choosing an appropriate container. Choose a microwave-safe bowl that remains cool or only slightly warm after several minutes of continuous microwaving. I use the corningware bowl which is perfect for melting chocolate. If you have overheated your chocolate, immediately pour it into a cool bowl add chunks of unmelted chocolate, and stir continuously. 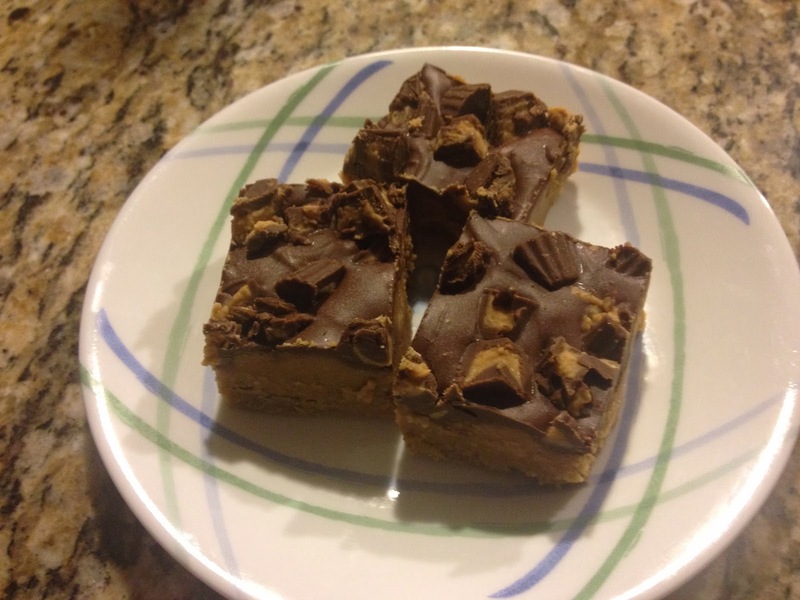 The times for melting the chocolate vary from microwave to microwave but rough estimate would be 45 seconds to 1 minute for 1 ounce of chocolate, 2 to 3 minutes for 8 ounces. 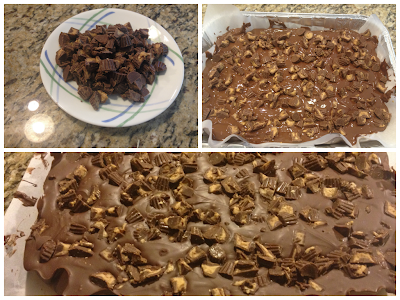 Do not forget to stir the chocolate every 20 seconds while melting.